Now, you have many options to replace your missing teeth. Besides traditional treatments, you can also choose dental implants in Canton. As the next best thing to your real teeth, you can invest in your oral health and your quality of life using an option proven to last for decades. 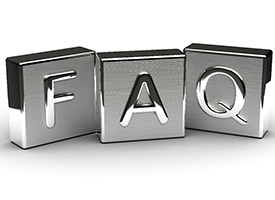 Before you are ready to commit to them, we understand you have plenty of questions. Dr. J.D. Robison has the answers you need to feel confident in your decision. Traditional replacement options only treat the visible portion of the tooth. 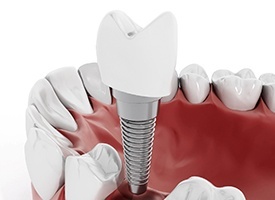 Dental implants go a step further to replace both the root and the crown. This allows them to offer exceptional benefits when compared to conventional treatments. An implant post mimics the root of your tooth. This stimulates your jaw to encourage new growth. Not only does this protect your facial structures and preserve your bone density, but it also supports your remaining natural teeth to reduce the risk of tooth decay, gum disease, and additional tooth loss. Your dentist in Canton, Dr. Robison, can use dental implants to treat all cases of tooth loss; however, the process varies slightly depending on how many teeth you are replacing. 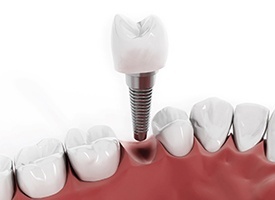 A single tooth is treated using an implant post, an abutment, and a crown. If you are missing more than one tooth in a row, a dental bridge is secured to your jawbone using an average of 1 to 2 implant posts. 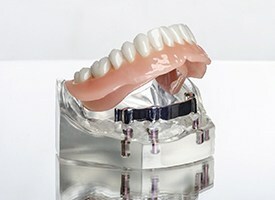 You can even anchor an entire denture using 4 implant posts. Generally, if you have good oral and general health, you are a candidate for dental implants, but you will need a comprehensive consultation. The long-term success of the treatment relies on your body’s ability to heal and remaining infection-free. Your jawbone must also be able to support the implant posts. As a result, you cannot have any medical conditions that impact your body’s ability to heal and fight infections. If your jawbone’s density is compromised, you may need a bone grafting procedure to become a candidate for dental implants. There is no set price for dental implants because the amount is based on your individual treatment plan. There are several factors that influence the price, such as the number of teeth you are replacing, if any additional procedures are needed, and your dental coverage. We help you maximize the value of your insurance policy to reduce the amount you need to pay. We accept a variety of payment options to cover any remaining balance to keep your new smile affordable.